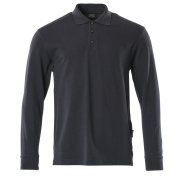 Are you looking for a jumper that is functional as well as presentable? The polo sweatshirts from MASCOT are the right choice for you. Unique about polo sweatshirts is that you get ultimate comfort from the soft cotton fabric while maintaining a professional look. In short, a perfect garment for the ones who value both fit and appearance. With the polo sweatshirts from MASCOT, you get a jumper with great comfort and ultimate freedom of movement with nothing that tightens or bothers. The functional sweatshirts are made of a cotton blend that is moisture absorbing and comfortable to wear directly against the skin. In our assortment, you will find both plain and multi-coloured polo sweatshirts so you can easily match them with your additional work clothes. Use your polo sweatshirt on top of a T-shirt during the transitional periods or wear it as the insulating layer under a jacket during the cold months. With MASCOT’s selection of polo sweatshirts, you are guaranteed to find a style that complies with your preferences. 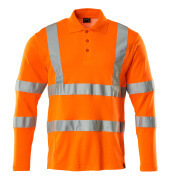 A polo sweatshirt is also an ideal jumper for the ones who work in the trades of engineering or service. You get a presentable look with the collar that you know from your polo T-shirt — just featured on a warmer jumper with long sleeves. Polo sweatshirts also fit splendidly into other industries, whether you are a craftsman or work within construction or industry. If you wish for a featured company logo, a polo sweatshirt has plenty of room for logos, both on the front and on the back. If you need pockets for glasses, pen or mobile phone, you can also find polo sweatshirts with chest pockets in MASCOT’s assortment.